Hundreds of you voted and now The Daily is back for its fifth annual Best of Evanston guide — a curated list of restaurants, shops, hangouts and more. 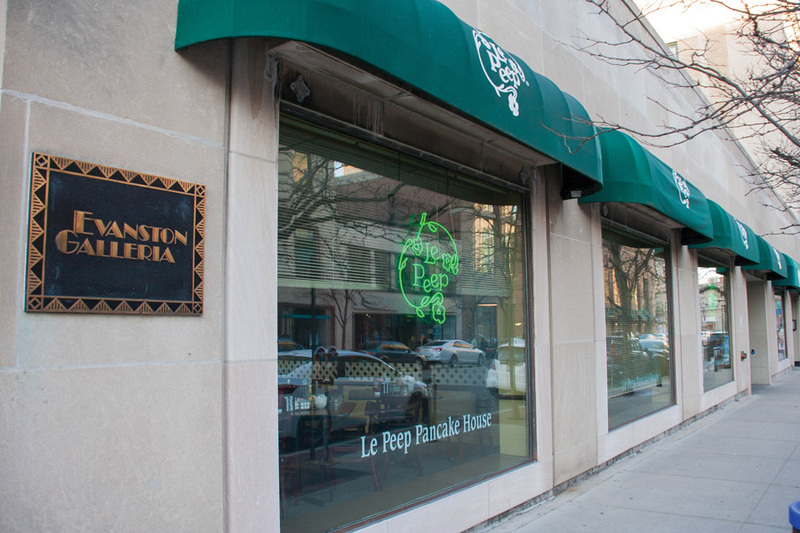 Use the guide to navigate Evanston’s retail and dining scenes or seek out notable landmarks. 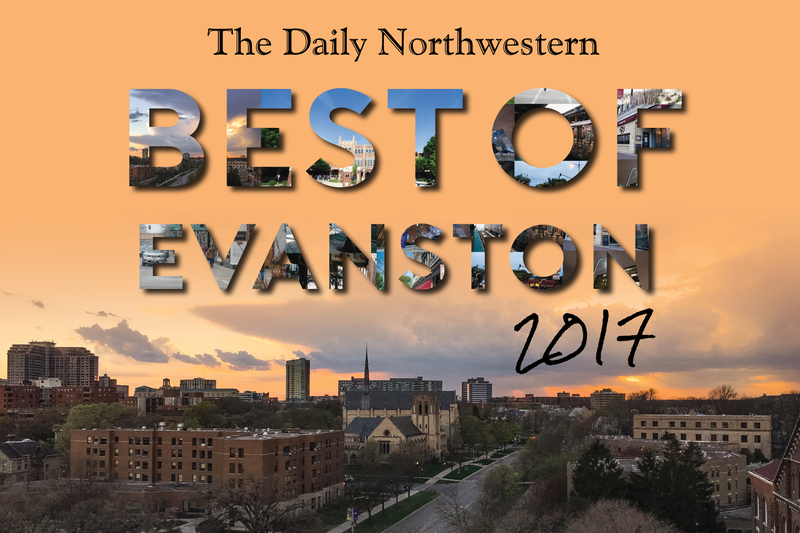 Get started by scrolling or searching below to find your Best of Evanston! I'm looking for the best . Could it be any other? New Yorkers have Katz’s Delicatessen, Bostonians love the Union Oyster House, Los Angelenos have a special spot in their hearts for Roscoe’s House of Chicken and Waffles and Evanstonians love Bat 17 — with a heaping side of sweet potato fries, of course. The intimate sports bar and sandwich shop located at 1709 Benson Ave. has captured best restaurant for the fifth-straight year. The streak has been made possible by the restaurant’s extensive lineup of sandwiches, which ranges from giant burgers like the K-2 Bat 17 Burger to vegetarian options like the towering Funky Monkey. Featuring numerous televisions, collegiate decor and tasty options from open to close, it’s not hard to understand the restaurant’s popularity. 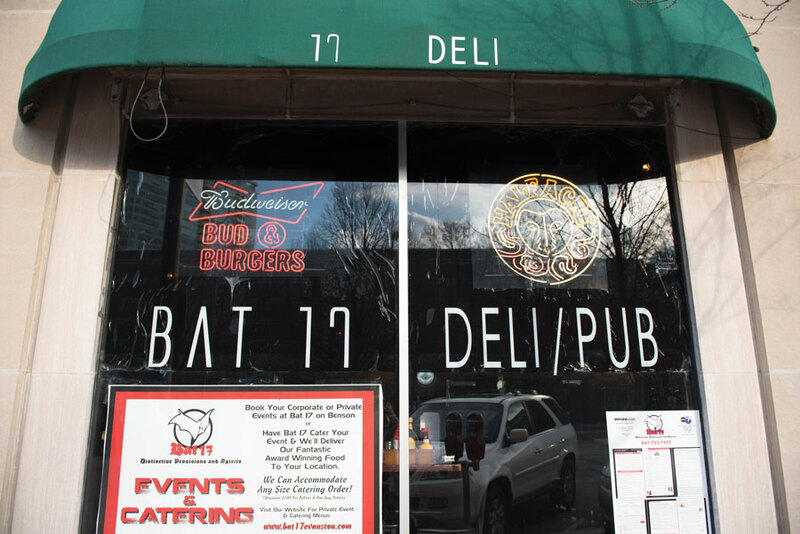 Readers also voted Bat 17 Best Sandwich this year, the second-straight year it has topped the category. Bat 17’s breakfast menu is a favorite, and it includes variations on french toast and a breakfast BLT. The restaurant also has a full bar with 19 beers on tap. Though clearly not a budget option, Bat 17 has won Evanston’s heart for the past half-decade thanks to its mammoth portions and well-crafted sandwiches (made with bread from nearby Bennison’s Bakery). It’s no wonder this favorite of the Northwestern and local communities alike remains atop its perch in the Evanston dining scene. Cupitol, 812 Grove St., beat out newcomers La Cocinita Restaurant, Yeero Revolution and Dave’s New Kitchen to win the title. Sellia Georges, an Evanston native who spent nearly two decades abroad before returning to the city, told The Daily last year she wanted to bring home a taste of Europe. In Cupitol, she has succeeded. The result is a space that combines coffee shop, restaurant and bar into a European-inspired eatery often packed with hard-working students and local professionals. Early morning patrons will find an array of classic dishes like buttermilk pancakes and more inventive ones like the sweet potato bowl — a poached egg on top of brown rice, kale and vegan coconut curry. Stay until 4 p.m., and bougie brunch transforms into delectable dinner. Cupitol has a decidedly eclectic menu with dishes like gravlax tartine, coffee rubbed wings and grilled BBQ prawn. Though Cupitol stays open late and serves alcohol, patrons of its predecessor, The Keg of Evanston, would be hard pressed to recognize the new venue. Since it closed in 2013, the dark dive bar has been replaced by a modern decor furnished by granite table tops and sleek oak counters. Come anytime of day to enjoy buttery pastries and homemade sandwiches, but Cupitol’s forte is undoubtedly brunch. After sleeping in on the weekend, nothing beats going to brunch with friends and indulging in a hearty meal of pancakes, waffles and eggs. Look no further than Le Peep — a breakfast and brunch restaurant on 827 Church St. — to satisfy all your breakfast-related cravings. Le Peep has now won Best Brunch for the third consecutive year, due in part to their WildCARD discount and varied menu with options for everyone. According to Le Peep’s website, the chain prides itself on being a group of “locally owned restaurants with friendly service and a focus on food,” which rings true when you look over the lengthy menu. Looking to satisfy your sweet tooth? Le Peep has all the waffles, pancakes and french toast you could possibly want, as well as a “pancake of the month.” This February, it is offering strawberry cheesecake pancakes with a cream cheese and graham cracker filling, topped with strawberries and whipped cream. Leaning more toward savory? Le Peep has eggs in a variety of styles that you can order with sides like potatoes, toast, sausage or bacon. If you’re feeling adventurous, the menu also offers variations on classic Eggs Benedict, skillet dishes and a build-your-own omelette option. Beyond brunch fare, there are salads and burgers to choose from as well. Top it all off with coffee, hot chocolate or juice. If you somehow aren’t full yet, try some Gooey Buns — English muffins broiled with brown sugar, cinnamon and almonds. Le Peep’s reasonable prices and generous portion sizes make it an obvious choice for students and adults alike. The restaurant is open daily until 2:30 p.m., which means brunch doesn’t always have to fall on a weekend. 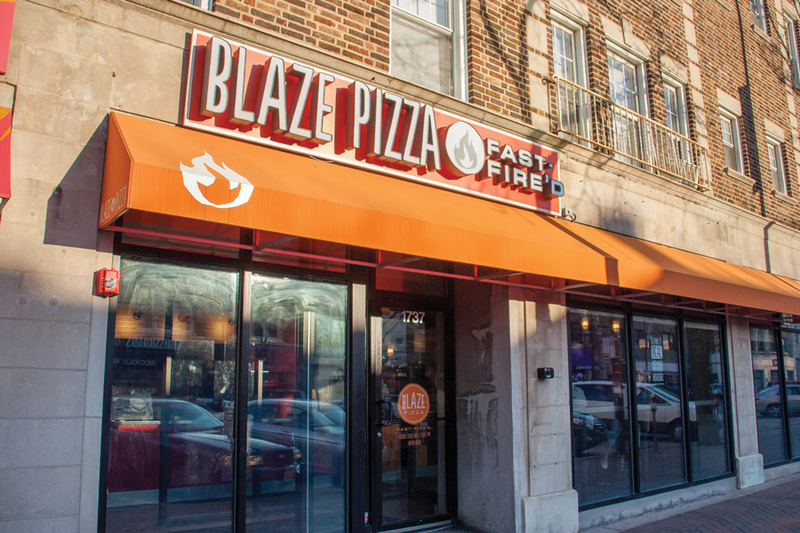 Blaze Pizza, 1737 Sherman Ave., has once again claimed the title of Best Pizza, beating out other local favorites Lou Malnati’s and Giordano’s. Though Chicago is known for its pizza, Blaze’s assembly-line style thin crust pizza has struck a new market. Open daily from 11 a.m. to 11 p.m., Blaze is good to take on-the-go or for a quick meal once the dining halls have closed. Setting itself apart from its main competitors, Blaze seems to have found the perfect way to blend quality ingredients, customization, and fast and easy service. In under two years in Evanston, the pizza restaurant has quickly become a staple of the Northwestern community. As customers make their way through Blaze’s build-your-own pizza station, they have the option to choose sauces, cheeses, meats and vegetables. With more than 30 toppings — from eight varieties of cheese to eight different kinds of meat — Blaze Pizza is sure to delight even the pickiest of eaters. Additionally, the joint offers gluten-free dough and vegetarian options, so everyone can enjoy a custom-made pizza. After a pizza is customized, it is put into a 900 degrees Fahrenheit oven, “fast fire’d” to perfection and ready for consumption in less than 180 seconds. Blaze also offers a mobile app that allows you to design your pizza before arriving at the restaurant, making the three minute wait time even shorter. If that doesn’t impress you, the price tag surely will: The six slice pizza meal costs less than $9, not including frequent promotions that Blaze offers. For a college student on a budget with little time and a large appetite, you can’t beat Blaze. Though Evanston has no shortage of sushi restaurants, Todoroki Hibachi & Sushi has been named the best. Todoroki, 526 Davis St., is best known for its creative sushi rolls and classic hibachi options, as well as its famous BYOB option available Sunday through Thursday. The restaurant first opened in 2012 and has been a success ever since. Students love the all-you-can-eat sushi deal and Todoroki’s entertaining hibachi shows. And the modern interior makes for a sophisticated atmosphere — without exorbitant prices. Todoroki’s menu covers all the sushi bases, from classics like California rolls to signature rolls like the Hawaiian Sunrise — spicy tuna with shrimp tempura and red tobiko — and the Hot Stuff, a spicy salmon and avocado roll with tuna, red tobiko, jalapeno and chili sauce. You can’t go wrong with the classic yet adventurous Dragon roll, shrimp tempura with cucumber, eel and avocado. Sushi rolls range in price from $3.50 to $18 and are worth every penny. 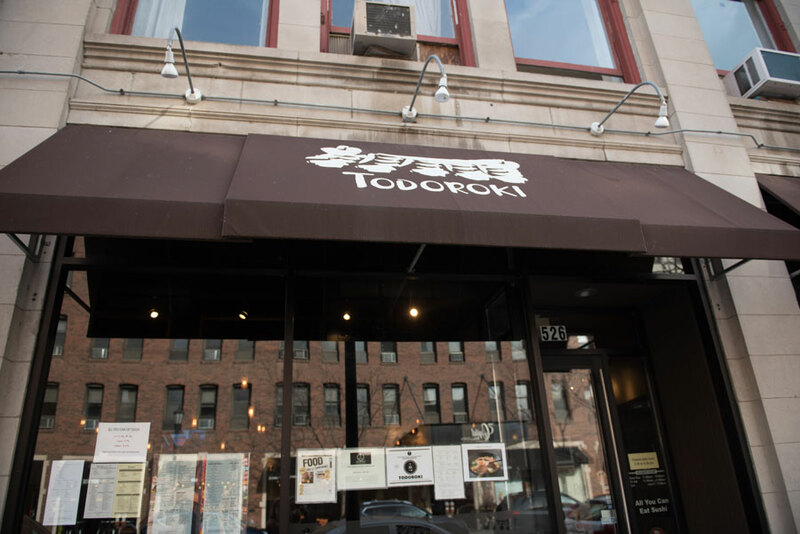 Todoroki is the perfect place for a night out with friends, but it is also known for an annual Halloween eating contest during which students and Evanston residents stuff their faces with delicious rolls. The winner of the contest wins all-you-can-eat sushi once a week for nearly two months. Even better, the audience member at the contest with the best costume wins a free dinner on Halloween. Todoroki is the place to go for extravagant rolls, a fun atmosphere and some annual entertainment. 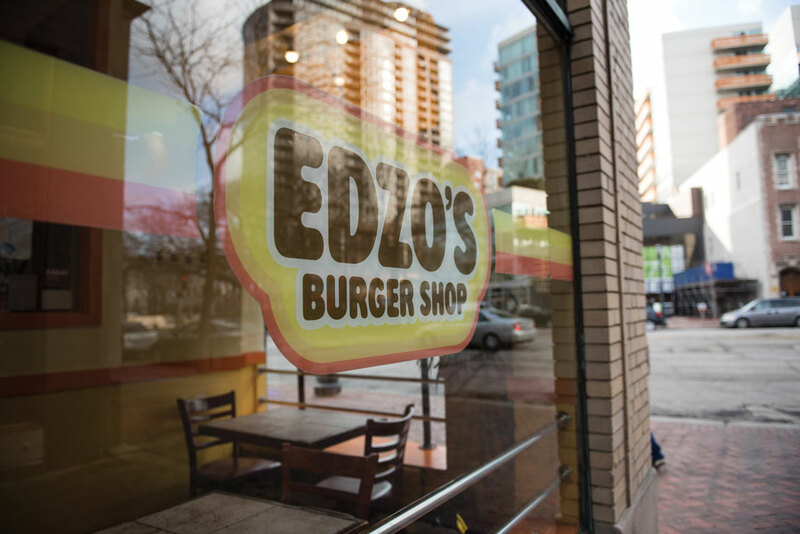 I was assigned the Best Burger blurb, which is fine, except I’ve been vegetarian for the past eight months, so when I walked into Edzo’s — 1571 Sherman Ave. — last weekend with a notepad and pen, I didn’t quite have a plan. I started to write down the milkshake specials — key lime, salted caramel, cannoli, but you don’t care about that. You want to hear about the burgers, the beef, the sizzle. The meat, damn it! I wasn’t going to eat any, though, so I looked around for friendly faces to interview. That’s when I met Noah, a 7-year-old boy with big, excited brown eyes. He sat with his legs criss-crossed up on his seat. Noah’s parents welcomed me to the table. Noah was eating a single 4 oz. cheeseburger, a small fry and a maple shake. I turned to Noah’s dad, who says he likes that Edzo’s serves both a 4 oz. "griddle" burger and an 8 oz. "char" burger. I sensed I was losing Noah’s interest, so I asked what The Daily’s readers should know about Edzo’s. He scrunched his face and thought for a few seconds. For the third year in a row, Andy’s Frozen Custard, 719 Church St., has been crowned Evanston’s favorite dessert spot. 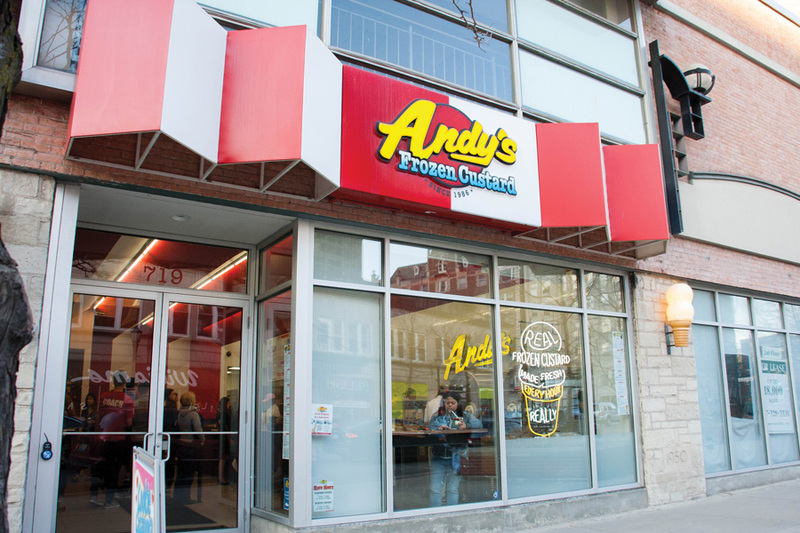 Tucked between Chipotle Mexican Grill and the Sprint Store, Andy’s welcomes Evanston residents, Northwestern students and visitors from across the country to try its wide array of frozen treats. Though customers can only choose between a vanilla or chocolate base, the possible combinations are endless; you can choose from a wide variety of concretes, malts, splits, milkshakes and sundaes already on the menu or you can create your own. If you’re bored of your usual — be it the pretzel-packed Jackhammer or the Cookie Casanova Sundae — try Andy’s seasonal flavors with favorites ranging from summer fruity classics to the Candy Cane or Pumpkin Pie Concretes in the winter. If chocolate or vanilla aren’t your thing, Andy’s old-fashioned sodas and Zarlengo’s Italian ices will hold you over while your friends indulge in double chocolate sundaes or vanilla custard bars dipped in dark chocolate. No matter the weather, Andy’s is always packed and, luckily, warm inside for those wintery custard cravings. And with unseasonably high temperatures this year, going to Andy’s after passing — or failing — that midterm makes even more sense. It’s a Thursday and you’re thirsty. There’s only one place to quench it: Tommy Nevin’s Pub. 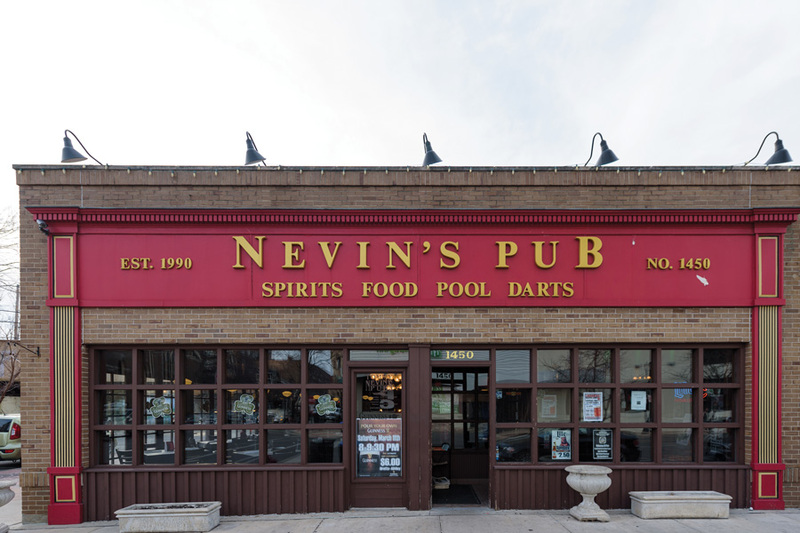 Nevin’s, 1450-1458 Sherman Ave., is the place to see, be seen and drink pitchers of warm, frothy beer. On Thursday evenings the pub transforms from a family-friendly restaurant to an upperclassman romp, replete with sticky floors, dartboards and uncomfortable run-ins with that guy you ghosted after Tinder messaging him your number. As far as Northwestern bars go, it’s the Mark II Lounge’s “mature” older sibling. If you’re 21, you can sample a wide range of affordable beverages at Nevin’s bar, from their house brews to cocktails. At any given time Nevin’s has from 22 to 25 beers on tap and an even wider variety on the shelf. In addition to libations, there’s pool and plenty of room for kibitzing — dancing is rare among the throng of aspiring consultants that clog Nevin’s ample floor space each week. Nevin’s also offers a robust menu of pub grub during the daylight hours, from cheese balls to shepherd’s pie. It might be disorienting to eat heavy Irish food on the same barstool you sat on as you vigorously smooched Kevin from your religion seminar, but hey, AND is in our DNA. Farewell, Chicken Shack, with your deliciously crispy chicken thighs and breasts that upset stomachs quicker than a couple shots of Patrón on a Friday night. Be gone Burger King, with your light-up lettering, seducing drunken passersby like a poor man’s Siren. 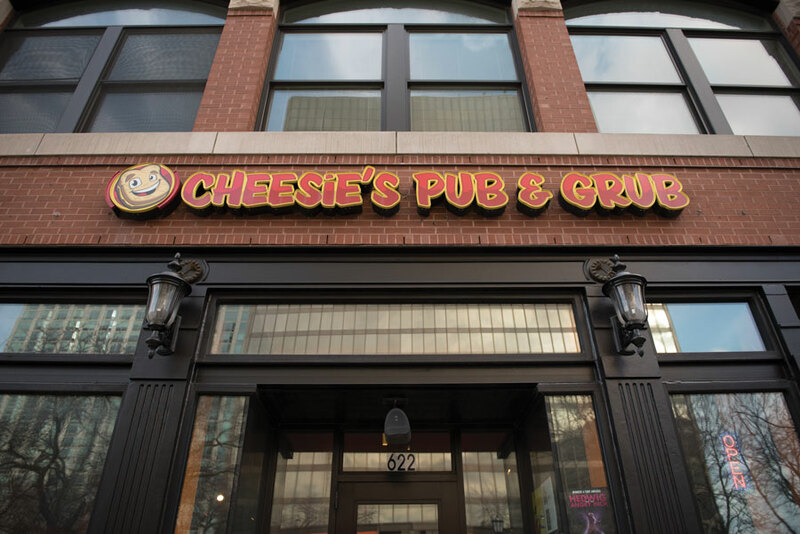 Cheesie’s Pub and Grub reigns supreme as the drunchiest destination for Northwestern students. It’s not exactly “new” territory for the titan of the grilled-cheese industry, as Cheesie’s has won this coveted award four years in a row. Featuring an expansive menu centered around, you guessed it, grilled cheese, the mere smell of the place could give lactose intolerant passersby digestion troubles. A popular destination after a long night of drinking, Cheesie’s was founded in 2011 by Chris Johnston, who noted a lack of grilled-cheese selling restaurants in the market. Although the alcohol pumping through one’s veins can confuse logical food pairings, Cheesie’s caters to drunken fantasies both simple and elaborate. Do you believe in the purity and sanctity of a plain grilled cheese? “The Original,” a tantalizing tandem of American cheese and Merkt’s cheddar cheese on Texas Toast, has your back. Do you like some adventure in your culinary concoctions? “El Jefe” — in which grilled cheese is used as a vehicle to eat a taco — is the choice for you. Whatever you order, turn up then show up to Cheesie’s, and enjoy a WildCARD discount with your meal. As a human of the vegan ilk, I worry endlessly about going out to dinner with my omnivorous friends and family. If I let them choose the restaurant, I may be relegated to eating a subpar salad without dressing or a $9 bowl of Quaker oatmeal. If I choose a vegan restaurant, I end up having my 300th conversation about whether you pronounce seitan like “satan” and how Fake Bacon is almost as good as Real Bacon but not quite. That’s why, if I’m heading for a bite to eat with a person of any and every dietary proclivity, I tend to choose LYFE Kitchen. The restaurant, which is relatively new on the Evanston scene, has three types of menus: vegan, gluten free and “everything.” This means I can have my vegan burger with Daiya cheese and sweet potato fries, while my dinner date can feel comfortably American with a burger made of verified flesh. I can choose a flavorful and filling Quinoa Crunch Bowl, while they occupy themselves with a Buffalo Chicken Salad. They might even be so busy chewing that they forget to ask me where I get my protein. And let me tell you, if you wake up in the morning craving a naturally-infused water, LYFE Kitchen is your place. They’ve got Cucumber Mint (how fresh! ), Ginger Mint Chia (probably good for your immune system?) and Hibiscus Beet (don’t be surprised if your poop looks red!). For a while, I thought the fresh herbs growing in the center of the spacious, sunlit restaurant were just for show, but I touched them the other day and they seem legit. 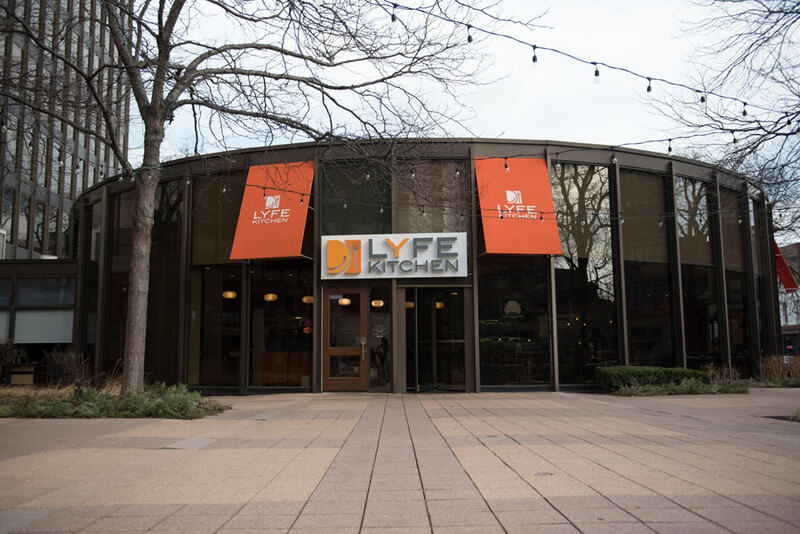 LYFE Kitchen may not be the best bang for your buck — that Cucumber Mint is $3 — but truly anyone can find something on its menu to munch. 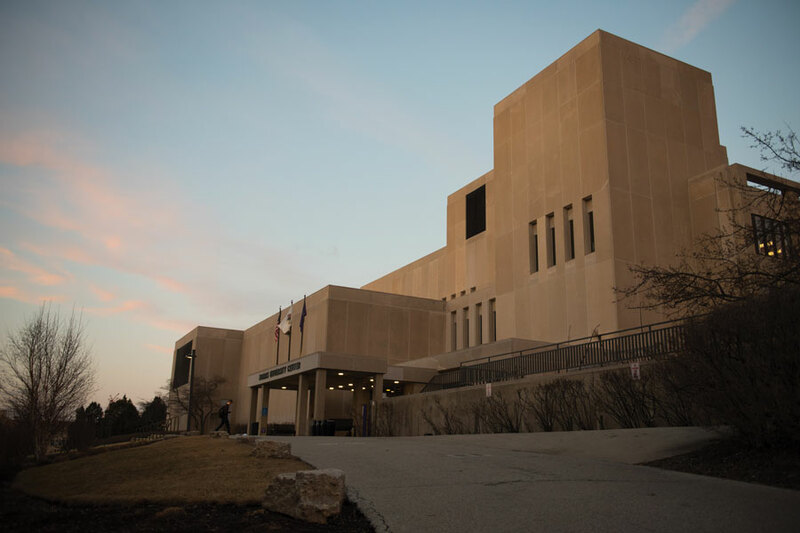 Before school begins in September, Northwestern students can be seen milling about the Hilton Orrington in droves, searching for that ideal family-friendly restaurant to take advantage of a temporarily larger budget. Farmhouse, 703 Church St., conveniently connected to the Orrington by a side door, does just that. Located just off campus, the farm-to-table American restaurant is good for the entire family. Some of Farmhouse’s most popular dishes include beer-battered Wisconsin cheese curds and baked mac and cheese, which you can share with the table or get as a side to your meal. Their dinner menu — split up into First and Main Harvest sections — features gussied up versions of the home-cooked meals you’ve left behind at home. Dishes range from pretzels with cheese sauce to acorn squash to their “Supper Club Specials,” a rotating menu that features a different protein every day of the week. Since it opened in July 2013, the restaurant has committed to supporting local farmers, with a blackboard indicating the origin of their ingredients. In addition, their menu changes seasonally to accommodate for out-of-season ingredients. You’re not limited to dinner there, either. If the line for Le Peep is out the door, Farmhouse also offers brunch and lunch options. 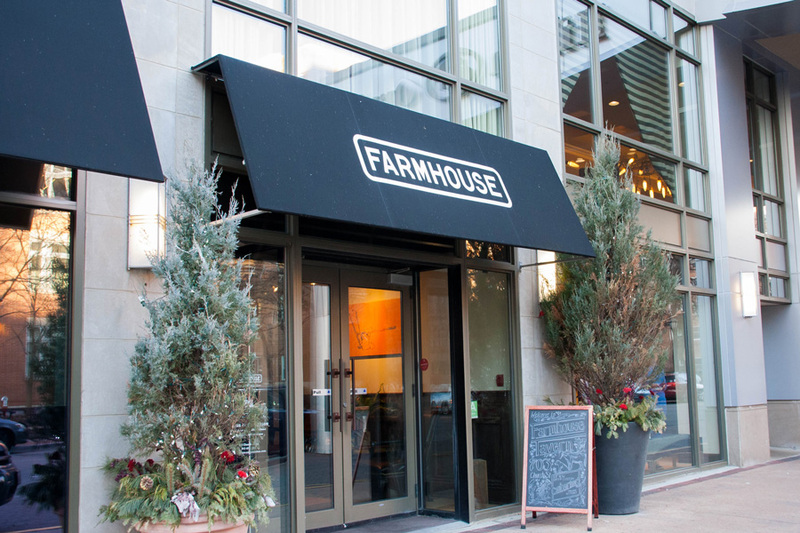 And if your parents need a nightcap after moving you into the Carlson Building across the street, Farmhouse has three house beers and an extensive on-tap list — as well as eight different ciders to choose from — making this a one-stop shop for your family meal needs in Evanston. For the perennially-hungry college student, Tomate Fresh Kitchen is a dream come true — delicious Mexican food with a manageable price tag. 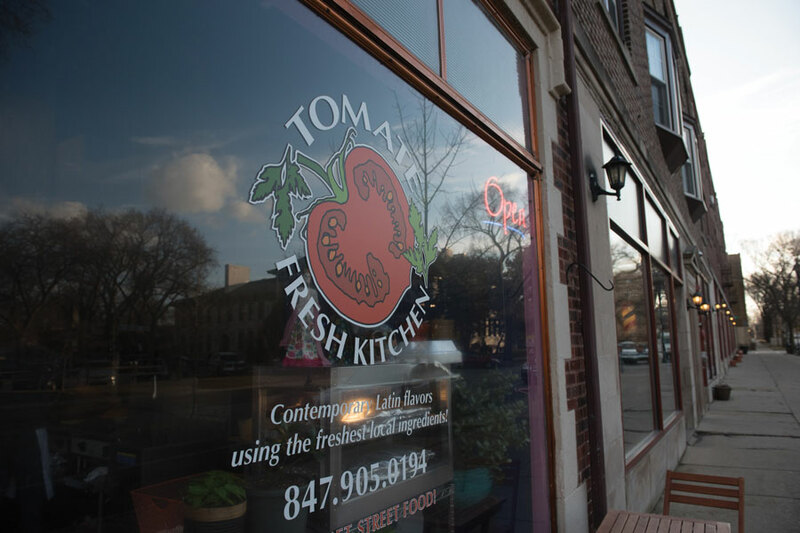 Tomate, 914 Noyes St., prides itself on selling “gourmet street food” using fresh local products at student-friendly prices. Most tacos and empanadas are around $3 and burritos are $6.50. The storefront is no-fuss; it’s only a few strides wide, with no seating and dim lighting. Yet the brightly-colored walls, scent of spices and chit-chat from the kitchen makes Tomate a welcoming and cozy environment. Tomate is not your typical taco joint. The restaurant uses a variety of popular Latin American produce, such as “pacaya and chipilin from Guatemala; nopales, chayotes, and yucca from Mexico; chilis aji and purple potatoes from Peru; and chimichurri from Argentina,” according to its website. 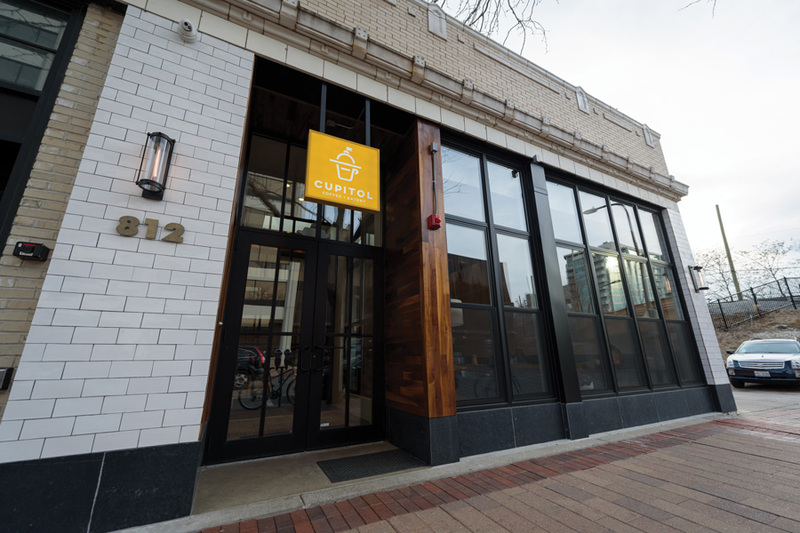 The restaurant began as a vendor stand at Evanston’s indoor and outdoor farmer’s markets and expanded into a brick-and-mortar establishment as it developed popularity and catering requests skyrocketed. Today, students bustle in and out of the restaurant, waiting to end their day with a hot, reasonably priced burrito. And for South Campus students, if the walk seems a little too far after a long study session, Tomate is also available for delivery through GrubHub. Going to Northwestern comes with one small downside for some students who come from boba-abundant areas: few places to get your milk tea fix. But the recent increasing popularity of Kung Fu Tea’s Taiwanese flavors have established the small shop as the go-to place for NU students looking for a delicious treat. The store, located on 726 Clark St., was again voted the best milk tea. Compared to Joy Yee’s neon-colored tapioca slushies, smoothies and sweet tea concoctions, Kung Fu Tea’s flavors have relative authenticity and come with the ability to customize drink toppings, sugar and ice levels, making it attractive to students despite the minor annoyance of an $8 credit card minimum. The shop is built as a grab-and-go store with a few small high-top tables. It’s a great place for catching up with a friend against the background of quiet Asian music, the whirring blenders and sparse conversation. Come evening, the space is lined with students looking for a tasty reprieve, especially on weekends when the store is open until midnight. 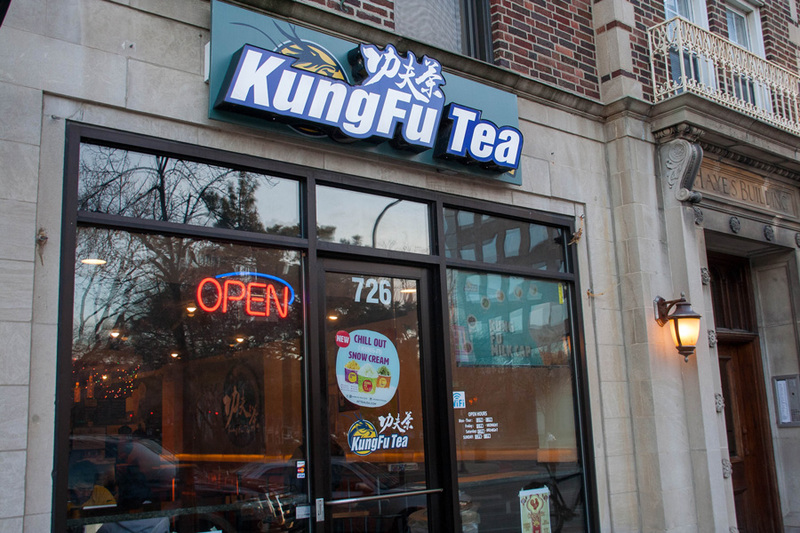 Many have praised Kung Fu Tea as the only legitimate boba place in Evanston. Although drinks may run slightly on the more expensive side, Kung Fu Tea has a guaranteed supply of regular customers. Miserable weather, late nights at work, disappointing test results, a heart-wrenching breakup, waking up on the wrong side of the bed — all of these unfortunate conditions have one thing in common: they all call for comfort food. 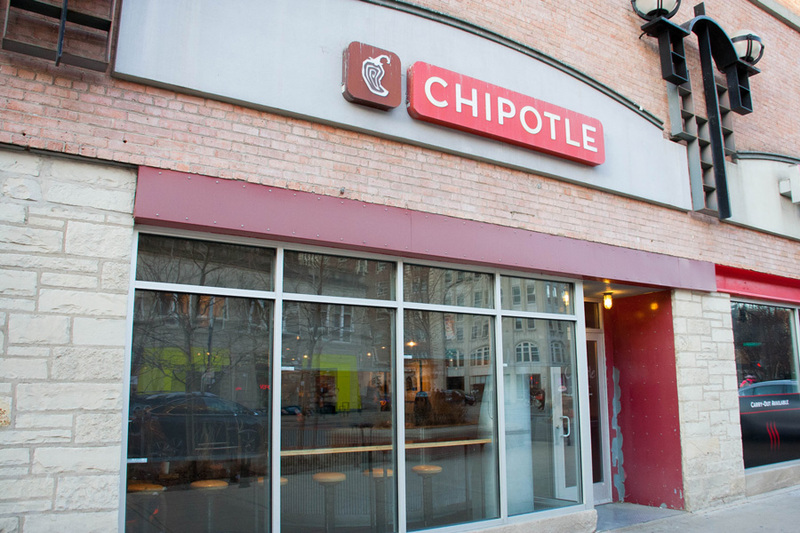 When morale is low and the desire for a satisfying meal is high, Northwestern students retreat to Chipotle at 711 Church St., open until 10 p.m. every night of the week. Whether you make the trek to downtown Evanston or use food-delivery services to get your fix, this Mexican grill has proved itself a staple of the NU community in times of need. The assembly-line style restaurant is a popular choice for the picky eater and the indecisive. Pick from six types of protein, four types of salsa, two types of beans, two types of rice and top it off with cheese, guacamole and/or sour cream into the burrito, bowl, taco or salad of your choosing to complete a perfect, individualized comfort meal. Chipotle boasts its cultivation of fresh, locally-grown ingredients, or “food with integrity” as they put it, and said goodbye to GMO-ingredients in 2015 to match its mission of providing the best for customers. The national chain also has a sustainability series in which they promote their commitment to “cultivating a better world” through environmentally-friendly practices and better tasting food. Averaging between $6 to $8 per order, Chipotle is a go-to in the hearts and minds of Evanston’s most stressed and nutrient-deprived population. So next time you’ve got time to spare between your back-to-back Associated Student Government meetings in Norris University Center and 5 p.m. linguistics class in Kresge, make your way to Orrington and Sherman for a pick-me-up to get you through the day. Northwestern students no longer need to trudge off campus or hunt for the Einstein Bros. Bagels shop in Pancoe Hall to get their coffee fix. BrewBike, a student-run mobile coffee vendor founded in May 2016, opened shop in front of Technological Institute last year. 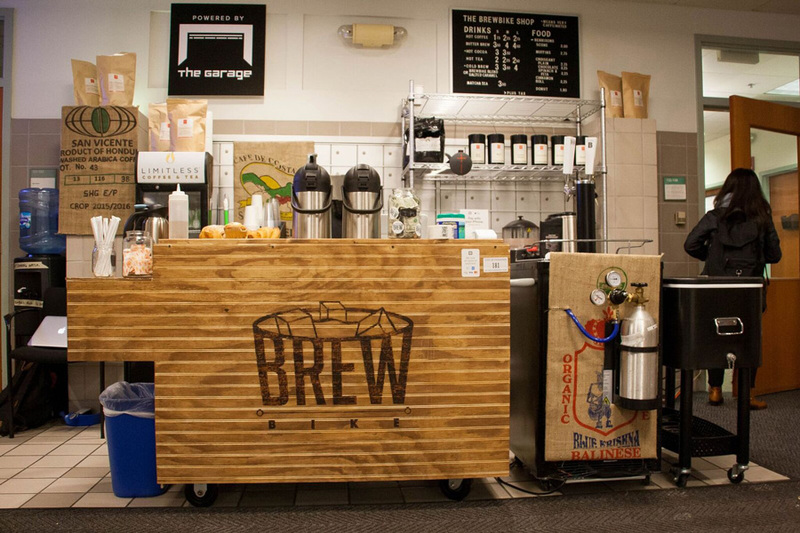 Originally served out of an actual bike from a tap connected to a kegerator — a small refrigerator designed to hold kegs of liquid — BrewBike opened to provide quality coffee and an entrepreneurial experience to students. After months of serving cold brew outside, BrewBike moved inside Annenberg Hall’s first floor lobby. It now serves LIMITLESS Coffee & Tea, Buzz Cocoa’s caffeinated hot chocolate and pastries from Bennison’s Bakery. This new addition, called the BrewBike Shop, is open Monday through Thursday and remains entirely student-run. Something that makes BrewBike special is its signature blend, the result of a partnership between LIMITLESS and NU students. The blend — called Triple B (also known as The BrewBike Blend) — is a mix of dark and medium roasts. Last spring, BrewBike held a tasting for students to choose which blend they liked best. The BrewBike Blend came out on top, illustrating the startup’s devotion to catering to the community in which it was founded. In addition to selling quality products, BrewBike makes purchases even more enticing with its rewards program, where your tenth cup is free. It also teamed up with Northwestern University Model United Nations and Northwestern University Campaign for Human Rights to fundraise for ACLU Nationwide earlier this month. With some of the lowest prices in Evanston, BrewBike has got your caffeine needs covered, especially if you’re going to class on North Campus. 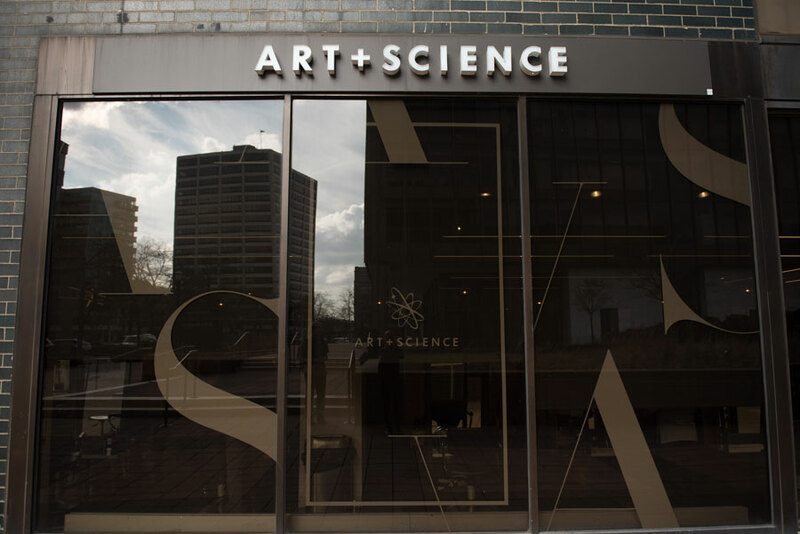 For its mix of high-fashion and everyday cuts, Art + Science was voted Evanston’s Best Salon once again. The Chicago-based hair care company and chain of salons is highly regarded in the international fashion scene. Art + Science also created the men’s hair care brand American Crew, which smells like taking a ride in a sports car. The salon’s Evanston location, 1629 Orrington Ave., can be a bit pricey, but the quality makes it worth the steep price tag. This salon is known for clean, professional cuts and friendly customer service. The stylists are receptive to what you want done and do a good job with both tame and edgy styles. In the fashion world, the company has been making a splash with androgynous, sculptural hairdos for photo shoots. This versatility is reflected in the salon’s execution of dye jobs, undercuts and other moderately risky endeavors. The salon has a modernist glass exterior and stylish interior decorating, which gives the space a cool, upscale feeling. At once couture and casual, Art + Science is also socially conscious. The philanthropic wing of the Art + Science company, Art and Soul, provides free haircuts to people in need and holds annual fundraisers for various causes. Last year, they partnered with the Cystic Fibrosis Foundation to raise awareness for the disorder. In addition, Art + Science’s Evanston location serves alcohol, so if you’re over the legal drinking age, you can get a haircut while enjoying a refreshing glass of white wine. With the 89th Academy Awards taking place this Sunday, now is a great time to catch a movie at Century 12 Evanston, 1715 Maple Ave. In addition to offering up new movies for audiences to enjoy, Evanston’s only movie theater offers a solid discount for the Northwestern community. 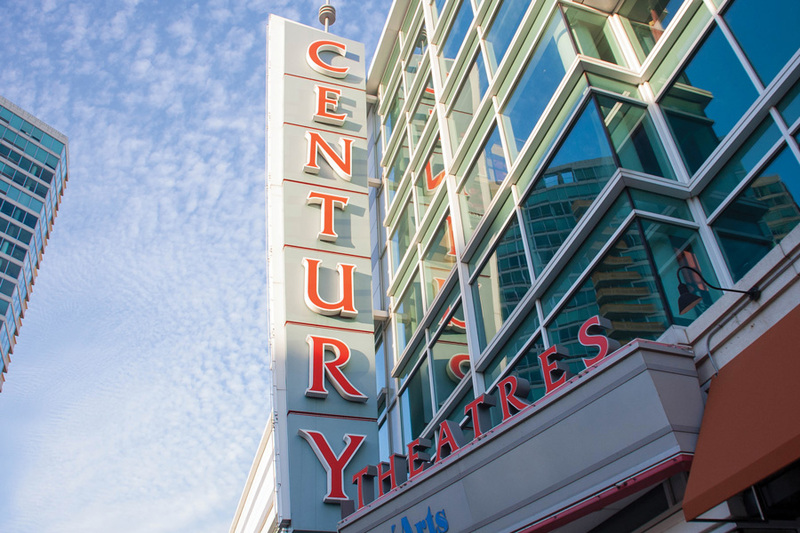 For the general public, movies in the evening at Century 12 are $9.85 on weekdays and $10.80 on weekends. But WildCARD holders can enjoy movies for $8.90 anytime and anyday of the week. On Tuesdays, Discount Day, all movies are $5.50 for every customer with or without a WildCARD. If you’re craving snacks and drinks to enjoy the movie with, Century 12 offers not only concessions but also The Rhythm Room — a dine-in area with a bar and full menu that features burgers, salads, desserts and more. The Rhythm Room also features live music on Friday and Saturday evenings from 7 to 11 p.m., a billiards room and TVs showing sporting events. Why wait to take advantage of this special? Grab some friends and see “Fifty Shades Darker.” Or if that’s not your thing, hit up “La La Land” or “The LEGO Batman Movie,” all among dozens of acclaimed films currently showing. For hip Northwestern students looking for tortoise shell sunglasses and pastel shorts for spring, Urban Outfitters is the place to go. Many of the prices are high. But, you can still find edgy tank tops, stylish purses and the occasional glittery minidress stashed away in the sale section. The store is ultimately a blast from the past with a twist of present trends, complete with a variety of plastic and satin chokers. 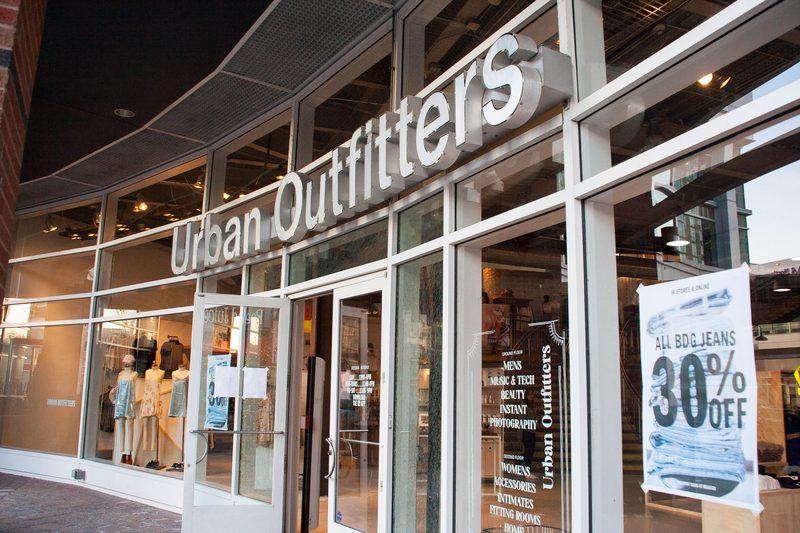 If you’re a 90s kid looking for a taste of your childhood, or just want an outfit to wear to brunch this weekend, check out Urban Outfitters — the best clothing store in Evanston. When it comes to convenience, CVS Pharmacy is without parallel in Evanston. 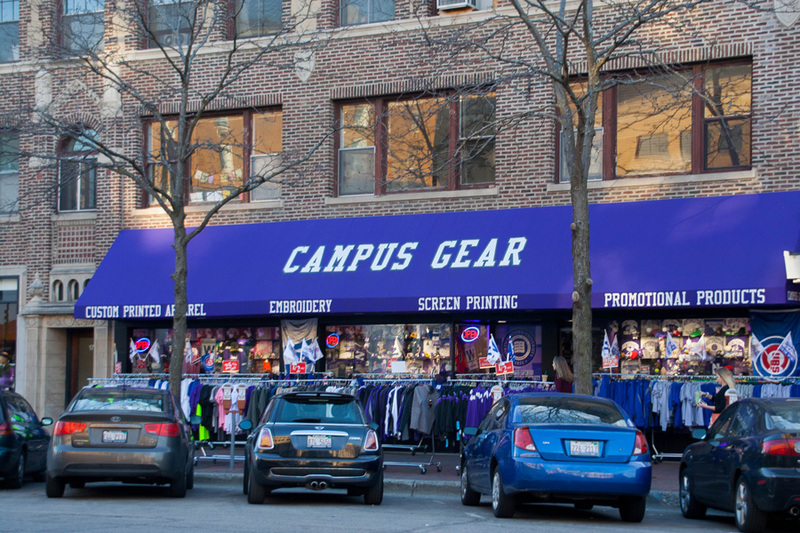 Located at 1711 Sherman Ave. — in the middle of downtown Evanston — the store is easily accessible to Northwestern students and offers a broad array of goods and services. 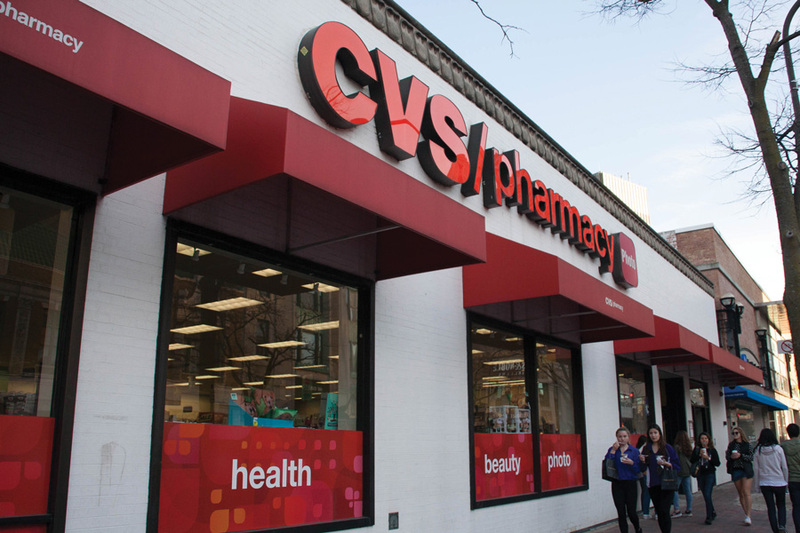 Students and members of the Evanston community can rely on CVS year-round for necessities ranging from food to cosmetics, and the pharmacy provides convenient access to prescription and over-the-counter drugs. Upon arrival at campus, students can go to CVS to take advantage of a back wall lined with school supplies and readily available flu shots to keep them healthy. The pharmaceutical offerings become stapes during the sniffly Chicago winters. Regardless of the occasion, students can be counted on to make the periodic “CVS run.” The store relies on customers in need of a stocked snack cabinet, or a refill on toiletries and other basic necessities. The pharmacy’s rewards program only adds to its excellence as a convenient one-stop shop for regular customers that use it for all their general needs. Other convenience stores may provide similar products, but the ideal location and diverse offerings of CVS help the pharmacy stand above its peers as the most convenient option for Evanston shoppers. OK, I’ll admit it. At first, I didn’t really understand the difference between Trader Joe’s and your run-of-the-mill Jewel-Osco. 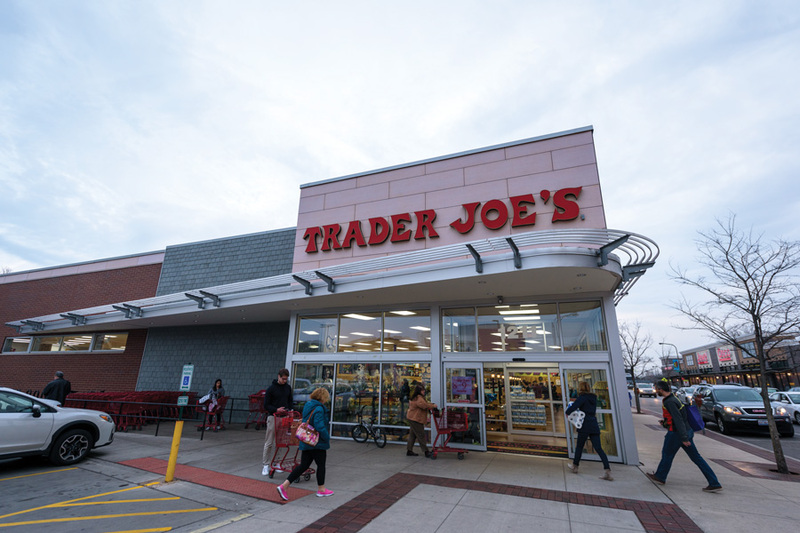 I remember the excitement on campus when Trader Joe’s, 1211 Chicago Ave., opened in the city in September 2013. I received several “Fearless Flyers” newsletters in my mailbox that sat, unread and unutilized, on my kitchen table. All it took to convert me was a lowly build-your-own pizza night with friends. Walking into the somewhat kitsch — yet endearing — tropically-themed store, I was surprised that, in spite of its small footprint, I could get anything I wanted at a cheaper price than Whole Foods, but higher quality than at a neighboring Jewel. Quality pizza dough? Check. Unique toppings up to and including bacon jam? Oh yeah. Cheap liquor that doesn’t taste like you’re chugging rubbing alcohol? Bonus. To be fair, Trader Joe’s has much more than pizza-making supplies. Each store boasts a reasonable produce section, but what sets Trader Joe’s apart from other grocery stores is the absence of national brands like Kellogg’s and Kraft in favor of its in-house brand, which looks just like national brands but somehow tastes better. And Trader Joe’s employees are more helpful than you could ever imagine. When it’s the middle of midterm season, each employee will bend over backward to help you get your fifth jar of cookie butter this week. So head over to Evanston’s best grocery store and pick up another jar. I won’t be far behind. 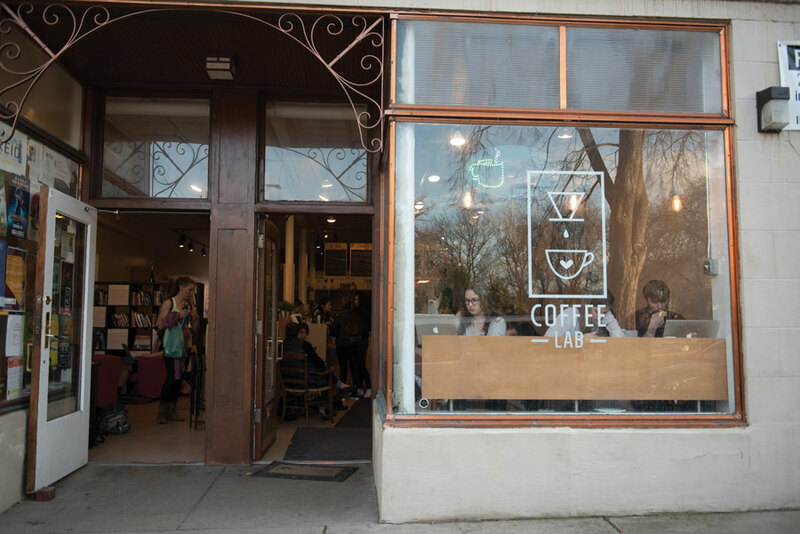 With a relaxing atmosphere and aromatic dark roasts, it’s no wonder Coffee Lab is a popular study spot for busy Northwestern students. The light wood paneling and soft, ambient lighting makes for a calming yet productive study space, and the wide variety of seating arrangements — from plush armchairs to wooden booths — appeals to all types of patrons. Coffee Lab’s many power outlets and reliable Wi-Fi network make it easy to spend an entire day in the cafe without even noticing it. The North Campus staple, located at 910 Noyes St., uses the Intelligentsia Coffee pour over system to produce its coffee, resulting in a tasty and aesthetically-pleasing brew. For patrons bored of ordinary coffee, look no further than the cafe’s cappuccinos and white mochas. Besides its numerous beverage selections, the cozy coffee shop also offers light dining options. Some of the more popular dishes include its morning glory muffins from Evanston bakery Great Harvest and Coffee Lab’s cinnamon honey bread. For those looking for a more hearty meal, Evanston residents and Northwestern students alike laud the shop’s gooey turkey melt. With sandwiches, quiches and a dazzling array of ready-made pastries, it’s hard to leave Coffee Lab hungry. Despite its chic, modern aesthetic and wide-ranging drink offerings, Coffee Lab is reasonably priced for cash-strapped undergrads. A large cup of joe costs around three to four dollars, no more than that offered at other Evanston coffee shops. And with a friendly staff that’s quick to respond to customers’ concerns, it’s not uncommon for first-time visitors to become regulars. So next time you consider ordering a soy latte from Starbucks, think again — the perfect brew may be at a more unique outpost. Buildings come and buildings go, but few will have as difficult a goodbye as Norris University Center. Years from now, alumni cultivated at this university in the years of its prominence will sip on burnt coffee with proustian glee, harking back to the be-stickered Macbook Pros and the concrete walls of an aesthetically deficient decade. Student organizations that define prospective student tours and countless résumés call Norris their home. Numerous student groups gather in the fluorescent glow of the third floor. Exec boards huddle in the late hours of the night, rushing to finalize events, concerts, publications and shows that have come to be critical parts of student life. And though it may be a bastion of productivity, Norris also harbors the idlers. Legions of students gather on the ottomans, chairs and booths of Norbucks to effect productivity but produce little. They chat about the work before them as it sits untouched. They browse Netflix or Instagram by open notebooks and blinking Word documents waiting to be filled. In this brutalist watering hole, students find what they so desperately need and so commonly lack at this institution where furtive eye-contact evasion outnumbers waves and hellos. They find company. They find respite from the rat-race existence they had worked so hard to experience. They put pause on their studies and commitments to say hello, shoot some sh-t and sip some joe. 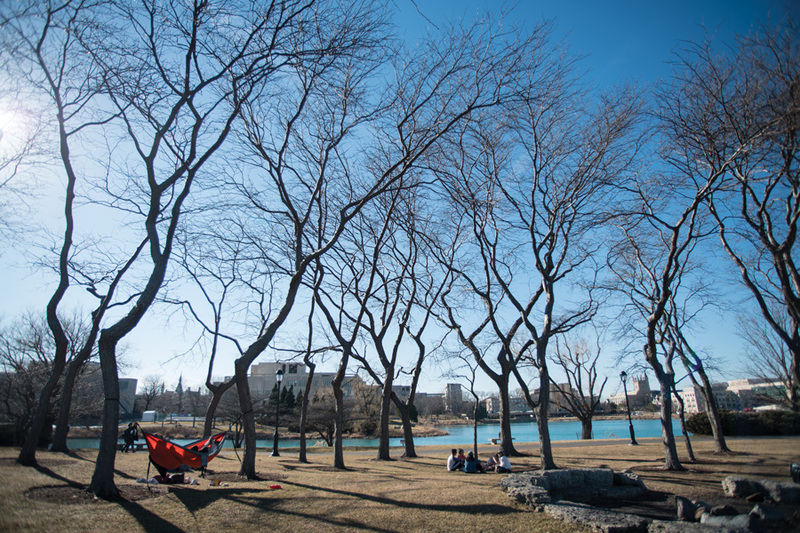 In Norris, the center of Northwestern’s student activity, there is, for brief and fleeting moments, the permission to relax. Swipe, swipe, swipe… match! You just stumbled on a potential love mate. What’s next? Take them out for coffee, cake and conversation at Kafein — Evanston’s best place for a Tinder date. 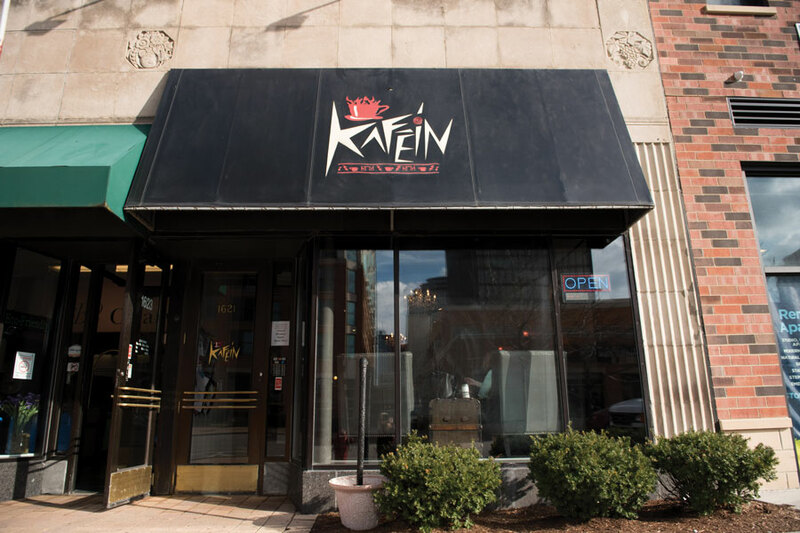 Kafein, 1621 Chicago Ave., came on the scene about 25 years ago and has taken the city by storm. The cozy, artsy coffee shop is situated just steps from Northwestern’s campus, making it a perfect meetup spot for that special someone. Walk in any weekday from noon to midnight — weekends until 1 a.m. — and you’ll be met by a friendly, if not slightly overbearing, staff looking to fulfill your wildest caffeinated fantasies. The food and drink at Kafein is OK, but what sets this date spot apart is the decor. The interior can only be described as eccentric: a random hodgepodge of grungy couches, ancient paintings and pew-like benches. In other words, this place has character. It’s dark, sultry atmosphere is sure to make your date an interesting one. After you sit down at one of the art-covered tables, open the menu to find a slew of scrumptious-sounding pies, soups and savory foods. Looking to impress your date? Try to finish the Kafeinator, a dish described as “everything but the kitchen sink” that includes a mountain of ice cream, a cookie, a biscotti, raisins and more. Pro-tip: come on a Monday for open mic night and woo your date with some soulful Miley Cyrus or introspective Justin Bieber. You’ll never see more purple in your life. Seriously, walking through Campus Gear is an overwhelming experience. The aisles overflow with Northwestern gear and there’s usually stuff falling off the shelves, onto the floor and sometimes displayed outside. Usually, you’ll go in with a specific idea of what you’re looking for. Football jersey? Dad sweater? You got it. Wildcat refrigerator magnet? No problem. There’s nothing NU-related you could want that Campus Gear doesn’t have. It’s easily the best one-stop-shop for all things NU. And in case you’re stressing about finding a NU-themed gift for your family before you return home, don’t. All it takes is a walk to Campus Gear, 1722 Sherman Ave., and a couple minutes later you’ll have it covered. No other Big Ten team wears purple. We should be tired of going to football games and seeing the stadium filled with opposing fans dressed in red, green, or I dare say, orange. We should take pride in our colors, and the best way to do that is to head over to Campus Gear and get some purple. Yes, the bookstore is probably closer and probably seems like the best place to get that No. 51 jersey you’ve always wanted. But it’s not. Campus Gear has the widest selection at the best prices and won’t let you down. When you go into the store, though, make sure to limit yourself to only one or two items, because it’s easy to get carried away. Next time you find yourself in an all-night study session or are too lazy to travel to the closest C-Store, look no further than Joy Yee’s Noodle Kitchen to quickly deliver dishes from a pan-Asian cuisine. 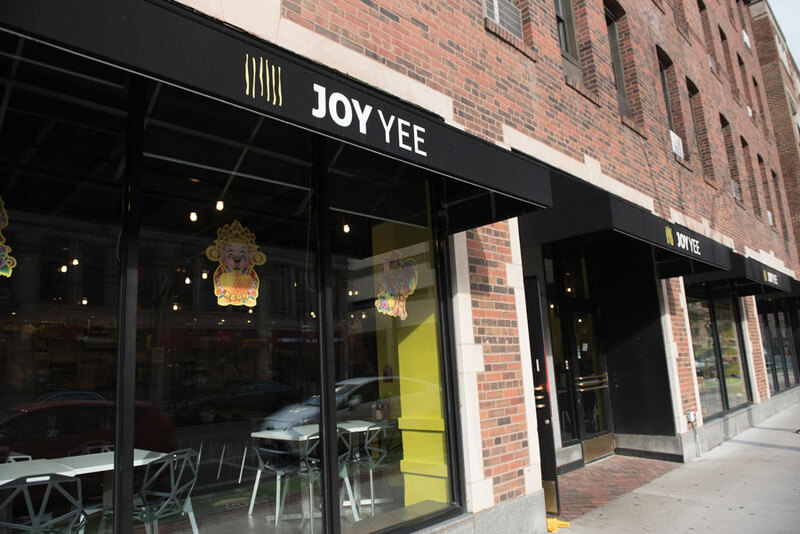 Joy Yee’s, 521 Davis St., celebrates 23 years of operation in Evanston and a second time voted as the best delivery option for the city’s residents. By making a practice of offering unique tastes and renewing its menu, Joy Yee’s has not grown complacent in serving its loyal customers. For the adventurous diners, the restaurant offers a huge assortment of piquant options. From the popular traditional beef stone bowl rice to the sublime Korean spicy pork hot stone plate, Joy Yee’s definitely caters to the more risk-taking palates. But that’s not to say it doesn’t also get traditional Asian dishes right. With twists on classic recipes like the Pad Thai, the restaurant has marked itself a favorite among college students, who indulge in its large portions and low prices. Do not refrain from purchasing a beverage with your order, as the chain prides itself in pioneering Taiwanese-style bubble teas in the Midwest region, as well as the South Asian freezes with tapioca balls. Though Joy Yee’s cuisine can certainly be enjoyed at home or at work, do not miss out on an opportunity to visit its location in Evanston. The cozy dining room — and the pineapple fried rice plate served in an actual pineapple — is guaranteed to leave a smile on your face. Just go look at the swarm of students hanging around the Lakefill on a historically warm February day. There’s nothing quite like lying on the grass, looking out at Lake Michigan and the beautiful skyline of Chicago in the distance. The Lakefill epitomizes what students love about Northwestern: it’s an oasis from the stresses of school, but close enough to jump right back in once the rest and relaxation has been sufficient. There are any number of activities you can do at the Lakefill. On a busy day, you’ll see students studying, throwing around a football, or, everyone’s favorite, getting their friend to take a new profile picture of them with the lake as a background. And even when it starts to get a little chilly, don’t hesitate to head on up to the Lakefill with a couple of warm blankets and a steaming cup of hot chocolate. Even when the weather isn’t great, the raw beauty feels liberating and unique. And the Lakefill isn’t just great during the daytime. One of the best times to visit is at dusk, when the sun starts to set and the skyline lights up. Once night falls and it’s pitch black outside, the only thing you can see is the skyline in the distance, with a vast barrier of nothingness in front of it. There’s a reason NU uses the Lakefill in so many marketing campaigns: it’s the best indication that NU is extremely well connected to Chicago, because anyone at the Lakefill has a clear view of the city in the distance. And, in the end, it’s just a beautiful place to be. 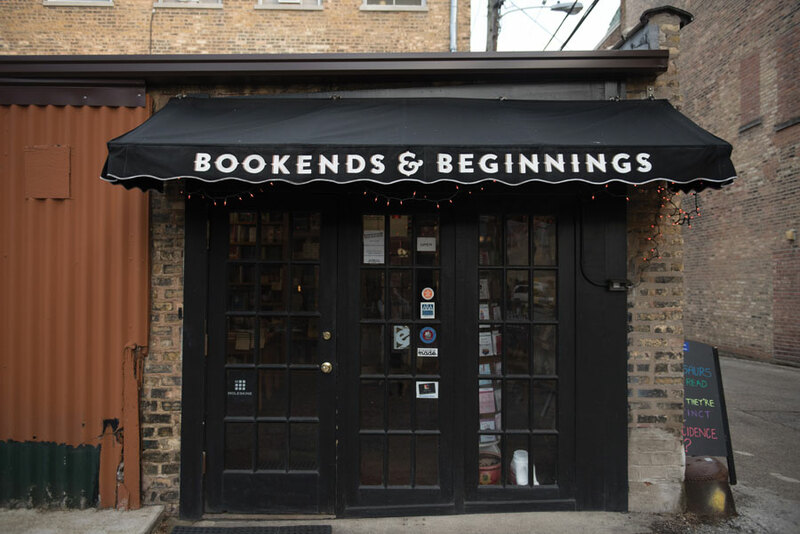 Tucked away in an alley behind Sherman Avenue, Bookends and Beginnings is an oasis for bibliophiles. The uneven wood floors are covered with rugs that invoke the store’s quaint character. It’s more of a literary living room to Evanston than a bookstore, attracting Northwestern students and Evanston residents alike. The bookstore, 1712 Sherman Ave., is easy to miss if not for the single blue sign calling customers in. The space was once home to antique bookstore Bookman’s Alley, which served the community for more than 30 years until it closed in 2013. The store is more than just a place to purchase popular and vintage books; it’s a place to gather and share ideas. Since opening in 2014, the bookstore has hosted countless talks from professors and authors covering everything from poetry to Lego filmmaking. From classics to international children’s books (in 26 languages) to coloring books, Bookends and Beginnings has something for everyone. It’s easy to lose track of time while perusing the aisles of bookcases, and it’s completely possible that you’ll go in looking for Harper Lee’s “To Kill a Mockingbird” and come out with an audio book of Bruce Springsteen’s autobiography. But one thing is certain: whatever you’re looking for, Bookends and Beginnings is the right place to start. 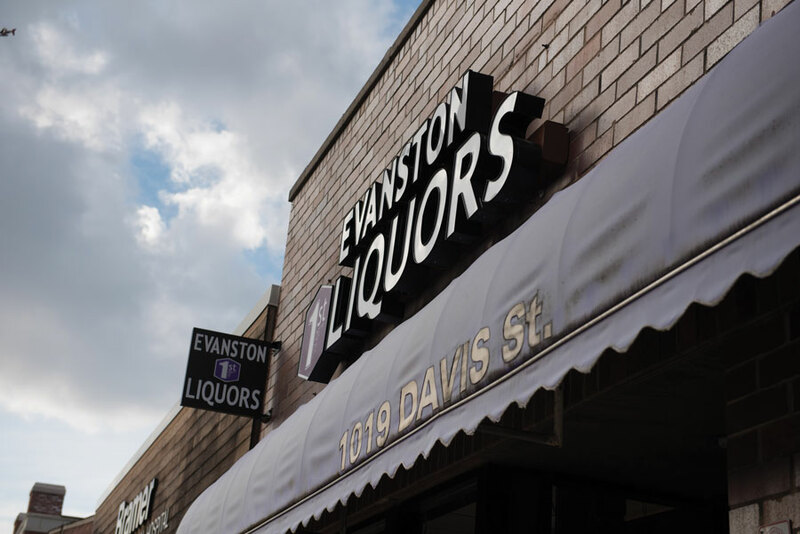 For Evanston’s best alcoholic variety, there is no store that compares with Evanston 1st Liquors, 1019 Davis St.
Evanston 1st, or EV1, is essentially the city’s only traditional liquor store. It offers an extensive collection of beer, wine, liquor and beverages this writer couldn’t hope to categorize. Want blue raspberry-flavored wine? Whipped cream vodka? Samples from a local microbrewery? EV1 offers all this and more delicious — and sometimes disturbing — flavor options. EV1 can run a little pricey, but keep your eyes peeled for small orange stickers denoting sale items. You could also peruse the crammed clearance table they set out on the right end of the main aisle, but those options are generally reject flavors, such as the aforementioned Whipped Pinnacle. While it may be more of a hike than D&D Finer Foods if you live north, or Whole Foods if you’re south, EV1 is worth the trip to liven up the bar at your next gathering.